NEW YORK, NY, 23rd June, 2015 — Piksel, a global leader in building successful online video businesses, today announces its role as technology partner to the European airline Transavia for its revolutionary new in-flight entertainment service. Transavia is using Piksel Voyage™ to offer travellers better quality viewing experiences and more convenient content selection in the air through use of their own devices. By leveraging the capabilities of the Piksel Palette™ and Piksel’s MTVOD (Mass Transit Video-on-Demand) solution, Piksel Voyage, Transavia is enabling consumers to select and download video content on to their personal devices, prior to boarding a flight. In tune with the growing “Bring Your Own Device” trend, the Transavia Entertainment App offers passengers the ability to choose from a wide range of premium TV shows and films to download onto tablets and smartphones. The content is locked until the passenger boards the flight, when it then becomes available to view. Once the flight has ended, the content is automatically deleted from the device, reducing any potential licensing issues. Transavia is greatly enhancing the in-flight user experience by leveraging the high quality screens found on user devices and offering greater choice and flexibility. Content is available in line with the passenger’s “In-Flight” window, providing users with a wide variety of films and programs to choose from. 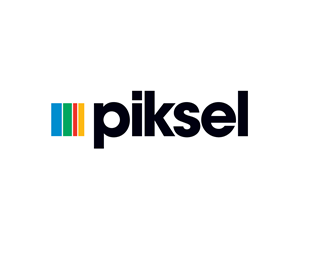 Secure content delivery is achieved by utilizing the DRM functionality of Piksel Voyage. Piksel partnered with industry leader Global Eagle Entertainment to provide Transavia the state-of-the-art entertainment solution.